The war had taken its toll on everyone in Europe, except Victoire Roux. No matter what, she always made it a point to stand proud, never let herself go and always look her best to help boost everyone’s morale, even in the darkest hours of history. In other words, she resisted the invader with glamour and flair! Victoire Roux is the eponymous symbol of French pride, beauty and style. Through her classic look, sophisticated demeanor and impeccable manners, Victoire was destined to become a muse. The most sought-after model of the 1950s, timeless and iconic, Victoire’s career has set the path for today’s top models. As the story goes, Victoire was first discovered by couture creator Christophe Marquis, the man who redefined beauty after World War II and single-handedly brought back elegance and femininity to the fashion scene once the war was over. Like many others who would soon follow, Christophe was immediately mesmerized by Victoire’s character and incredible presence. A brief glance, a smile, and a good laugh later, the two became “the” fashion authorities of post-war Paris, destined to become the top duo of haute couture for two decades straight! Meanwhile, Victoire would also go on to become the muse of many famous artists and influence the work of many other high-profile fashion geniuses, such as Christian Sior, and Coco Lariviere. The beginning of the jet age also took Victoire to some of the most exotic locations to help promote Parisian couture and style across the globe, which led her to become one of the most photographed women in history. Victoire Roux was in full-tilt party planning mode, and she couldn’t have been more excited about the prospect of the city she so dearly loved turning 2,000 years old! Of course, not only had she made ultra-detailed plans for the main celebration itself, but also a cocktail reception that opened it and even the after-party and a breakfast the following morning. Yes, Paris would celebrate in style — Victoire Roux would see to it! However, all this planning left our heroine in a tight spot, fashion-wise. Always putting the needs of her guests before her own, Victoire sometimes forgot that she too would need to look just right because, after all, the girl also had her reputation as a trendsetter to think about! No matter, a quick visit at any couture atelier and the problem would be solved — or would it really? The entire post-war fashion industry wanted her to model for them, but which one to go with? Victoire had to make a decision and fast. Her friend Christophe Marquis’ ultra-feminine lines were to die for, but Sior’s new collection was just incredible — so many choices, no sophisticated girl could settle for just one gown! Christophe would forgive her for going to the competition. How could she pass up such gorgeous perfection? After trying one amazing couture piece after another in Sior’s Atelier, the brouhaha eventually attracted the designer, who immediately lit up when he realized who was causing all that commotion. This was exactly what the couture genius wanted to hear! For the rest of that day, he devoted his entire time making certain that Victoire would have just the perfect looks for everything she had planned for the celebration. Cocktail gown, party dress, late evening gown, she didn’t care — she could have it all! He was just inspired and happy to see his creations modeled by someone as high profile and respected on the Parisian scene as Victoire was. The micro-collection he assembled especially for Victoire that day would eventually enter fashion history and, more specifically, his butterfly gown would go on to become one of the most famous and recognizable looks of his career. Integrity Toys Designer Chris Stoeckel, who worked closely with Integrity Toys Head Designer Vaughn Sawyers on Victoire Roux, sheds light on the line’s inspiration. DOLLS: What inspired the Victoire line? Chris Stoeckel: Victoire was inspired by all of the fabulous French models of the 1950s. She is a mixture of different aspects of many great women of style from the time period. DOLLS: What inspired this particular look? Stoeckel: This look takes its inspiration from silhouettes from 1951. Embroidery was a very popular trend that year, and butterflies are a symbol of grace and beauty, so it seemed a natural motif to use. DOLLS: Why should collectors be excited about her? Why are you excited about her? DOLLS: How does the Victoire line differ from anything Integrity has done in the past? Stoeckel: Les Silhouette as a line is solely inspired by the golden age of French haute couture, which really hasn’t been done before. The line will only feature silhouettes inspired by French fashion. DOLLS: Will this line continue in 2012 and beyond? Stoeckel: We have great plans for Victoire moving forward. Stay tuned, as Victoire’s Parisian adventures are definitely not over! Victoire Roux is ready for her late afternoon stroll along the Avenue des Champs-Élysées! Inspired by the beauty of Paris in the early ’50s and the ever-glowing colors of the city of lights, Victoire’s high-contrast, delicately embroidered butterfly gown left an indelible influence on the fashion of the day. The famous stills of her dramatically posing at various points along the Place de la Concorde and near the Arc de Triomphe are still heavily referenced today and are considered a major part of fashion history! The “Champs-Élysées Victoire Roux” doll is a fully articulated, intricately detailed 12-inch vinyl fashion doll with hand-applied eyelashes. 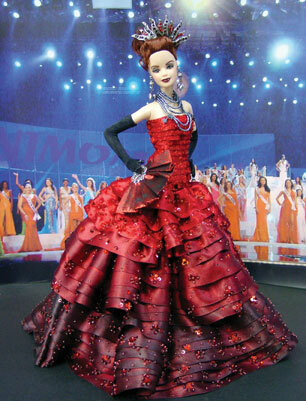 She comes with an embroidered gown, delicate fashion accessories, shoes, doll stand, and certificate of authenticity. For collectors ages 14 and up. Because of her truly limited nature and to ensure as smooth an ordering process as possible, the “Champs-Élysées Victoire Roux” doll is made available via a “right to buy” lottery-style pre-order process. You will have from today until 5 p.m. CDT Aug. 13 to enter this lottery. Winners will be selected at random and notified by Jones Publishing; they then have until 10 a.m. CDT Aug. 24 to pay. If you cannot pay within this time frame, we respectfully request that you please do not enter this lottery. Click here to visit Integrity Toys’ online store, IT Direct. If you have never purchased from Integrity Toys before, please create a new account (this is free) or if you already have an account, enter your user ID and password. Put a check mark in the “I agree to this website’s terms and condition box” and hit “submit.” You will be taken to a confirmation page. During the week of Aug. 13, we will select 500 lottery tickets at random, and the winners will be contacted via e-mail by Jones Publishing with a special secure payment link to complete the transaction online. Only the first 500 entries selected at random will have the right to purchase this Victoire Roux doll. Please note that due to the ultra-limited edition size of this doll, quantities are limited to one entry/one doll only per IT Direct registered customer, and winning entries are non-transferable. Do not make payments now. Lottery tickets are free, so please do not enter any dollar amounts and do not make payments at this time. If you win, you will be sent a special payment link to purchase the doll. Shipping: If the cart asks for a shipping choice (which should all say $0), just pick anything; it does not matter. If you win, your shipping choice will be arranged when you pay for the doll. Winner notification: Please allow several days for us to compile the entries and conduct the drawings once the lottery period ends. We will notify winners via e-mail. Members should also check their spam folder for this payment notice. A listing of winners’ initials and invoice numbers will also be posted on the www.integritytoys.com news page at some time during the week of Aug. 13, 2012. Please contact wclub@integritytoys.com if you have any questions about the “right to buy” lottery process. Integrity Toys designs and markets a variety of fashion and celebrity dolls and related accessories, with a specialization in high-end fashion dolls. 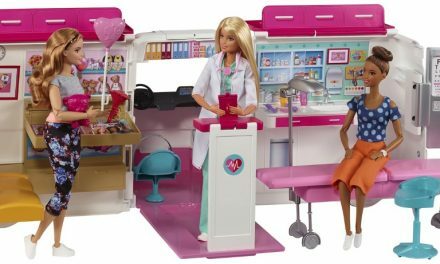 Founded in 1995, Integrity Toys’ extensive experience and capabilities in the field of doll-making allows the company to create products and programs for many of the world’s best-known retailers, consumer products companies, celebrities and other intellectual property holders. 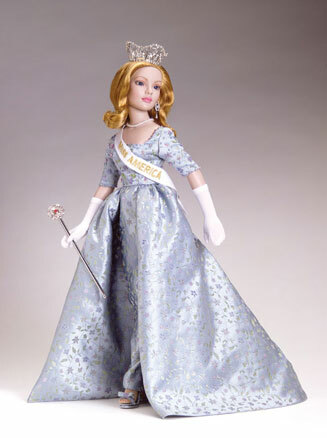 Integrity currently produces high-end fashion dolls, ranging in size from approximately 12 inches to 16 inches tall, under a number of brands, including Fashion Royalty, the Dynamite Girls, and Poppy Parker. The company’s products typically retail from $60 to $250 each, with most of the products falling in the $130 to $150 range. Integrity products are known for their quality engineering, high-end aesthetics and, of course, fashionable, detailed clothing. For more information about Integrity Toys, Inc., please visit www.integritytoys.com. PreviousRecord-breaking Dolls: 2012 Olympics invites elite sports figures to become literal figures. NextGo for the Gold: Does your doll collection reflect a winning attitude?